Crude oil bursts above $80 a barrel today as the strong China PMI data fueled optimism that demand for energies will improve in 2010. The strength in dollar is capping the rally in the dollar denominated assets. China`s PMI rose to 56.6, the biggest increase in 20 months, in December from 55.2 a month ago. Oil`s advance for the 8 day is also due to the abnormally cold weather in the US as it will likely increase demand for energy, particularly heating oil and natural gas. 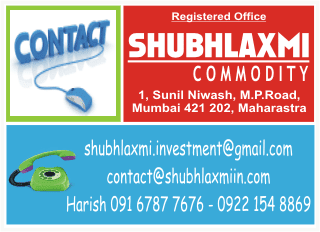 MCX crude oil futures are trading pale following the sharp rally in Indian Rupee. The Indian rupee today gained 7 paise against the US currency in early trade on increased capital inflows into stock markets in line with firming global cues. MCX January oil is down Rs 6 at Rs 3721 per barrel. The US will release manufacturing ISM, FOMC minutes and December employment report this week. ISM manufacturing probably improved to 54 in December from 53.6 a month ago. A better-than-expected reading should lift the dollar as it raises the chance for an early Fed rate hike. Currently, the market has factored in a 60% chance that the Fed will hike its policy rate by at least 25 bps by June. Moreover, pay attention to ISM components such as `new orders` and `imports` as there are signs that these indices are leading indicators for distillate demand. However, the most important event for the week should be the employment rate to be released Friday. Improvement in jobless claims in 4Q09 signaled recovery in the job market. Analysts anticipate the number of non-farm payrolls stopped declining while the unemployment rate stayed flat in December.